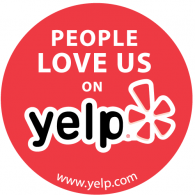 Click The RED Yelp Circle for More Reviews or to leave one. (we don't know why, these were are legitimate SOLD clients). reviews for Thomas Nelson that are not currently recommended. ds. He is a true professional in the fact that he is always looking for ways to help others. Whether this means helping them to find the home that is right for them, looking for ways to connect quality individuals through networking, or building genuine long-lasting relationships in the SD community. Thomas is your guy if you are looking to establish great community contacts within San Diego. I had an excellent experience with Thomas; he is professional, knowledgeable, and beyond helpful! Being in the military I travel/deploy frequently and he was always able to assist even while I was thousands of miles away and continues to assist even after I have closed on my property. I have no complaints about Thomas' service or working with him what so ever. I highly recommend him to anyone looking to buy in the San Diego area! Thank you once again for helping me with my real estate needs. As you know, I'm extremely busy in my law practice, and I truly appreciated being able to count on you to shoulder the weight of listing my home, handling the details and handling the craziness of the multiple offers and escrow. It made it easier at work knowing you had the house details covered. I was please with the work you did for me, our third transaction, and plan to use your services in the future when I decide to buy again. I would certainly recommend you to my friends and family. I just wanted to tell you thank you. Buying our first house could not have been easier! It seemed like if there were issues, you told us up front about what to expect and you were always in our corner. Our son is buying his first house (in Oxnard) and he is not having the same great experience we had. There are issues every other day and they have to wait for their realtor to get back to them, sometimes waiting a couple days for their answers. They didn't ask us before they started this adventure and I really wish they would have - we would have asked you for a recommendation for someone in the area. Just hearing some of their experience makes me realize how smooth ours was. Thanks again and enjoy your Thanksgiving holiday with family & friends. I can't tell you how much I appreciated your time showing me properties in San Diego. I would refer you anytime! San Diego just was not right for me financially as a single person. I want to thank you again for all your time and effort and if you ever happen to come to Fort Worth, I would love to cook a meal for you and Ailina. Thomas Nelson is patient and easy going which is uncommon among realtors. He makes an effort to stay up to date with the latest trends and market information which he passes along to his clientele. He has the experience and expertise so his client's can approach every deal with confidence. As his Client, I know that he cares about my interests and I'm not just another commission. Thomas was relentless in finding the right property in the location we desired and in our price range. We hunted for over eight months and at times I got a little doubtful that we would find what we were looking for, however, Thomas never gave up and we found what we were looking for. Thomas is extremely friendly and professional, however, he doens't sugar coat anything. He doesn't tell you just what you want to hear.....he tells you the truth. Wow, we are in the home stretch! None of this would have been possible without you. Your expertise, resourcefulness, and thoroughness is making our dream come true. Thank you so very much for all you do and for being our eyes, ears, and brains in La Jolla. Having you there and willing to keep going over to the property for us made buying in LJ very doable. I'll look forward to thanking you in person very soon! As an out of state buyer, I greatly appreciated the efficiency and effectiveness Thomas provided in helping me buy a family condo in downtown San Diego. He helped me narrow down the options and, once a decision had been made, worked with me to complete the sale from my home state. He arranged for and oversaw the home inspection/re-inspection/re-reinspection!! Thomas also made sure I had all the information I needed to get utilities, etc transferred into my name, etc. The whole process was absolutely painless. As with others, I will use him as a point of contact for tradesmen/women for minor updates/repairs in the condo. I would definitely recommend Thomas as one of THE BEST ever! As an out of state buyer, I greatly appreciated the efficiency and effectiveness Thomas provided in helping me buy a family condo in downtown San Diego. He helped me narrow down the options and, once a decision had been made, worked with me to complete the sale from my home state. He arranged for and oversaw the home inspection/reinspection/re-reinspection!! Thomas also made sure I had all the information I needed to get utilities, etc transferred into my name, etc. The whole process was absolutely painless. As with others, I will use him as a point of contact for tradesmen/women for minor updates/repairs in the condo. I would definitely recommend Thomas as one of THE BEST ever! Thomas Nelson is certainly unparalleled in his real estate listing service in excellent professional knowledge, seamless transaction, knowing client's need and above all his personal charm in providing daily feedback. I am very happy to employ his listing service for my San Diego property. I can't say enough good things about Thomas. We first met him about a year or so ago when we were looking for someone to give us an idea of the current value of our home for some financial decisions we had to make. Found him through Yelp, called his number and was shocked when he personally answered his phone! Although we weren't ready to sell, Thomas was so helpful and courteous in assisting us with our needs. I felt so confident of his professionalism that I gave him the name of our neighbor who mentioned she was thinking of selling. Well, our neighbor signed with him right away, he listed her home, and sold it in the first week....for the FULL ASKING PRICE! When it came time for us to sell, I had the unfortunate task of telling Thomas that we would not be able to use his services (family Trust issues and not my decision). He was so gracious and understanding. No pressure what so ever. So naturally when we were ready to buy, he was our first choice to represent us. We found a home that was exactly what we wanted. With Thomas' guidance we made an offer on a Saturday, and by Monday it was accepted. Thomas then guided us through the inspection process - with the help of his tight group of skilled, courteous, and prompt technicians. He suggested inspections that we would never have thought of and BOY were we happy he did! Thomas then skillfully negotiated with the seller and before we knew it all work was done and we closed escrow in 21 days. WOW! We're now very happy homeowners and in a "school girl crush" with our new home. I guarantee that you won't regret working with this fine gentleman. He's one smart Realtor, and a really nice guy to boot! Thomas and I have worked closely together and I find him to be extremely professional, resourceful and patient. As a property management company we rely on referrals just as much as agents do. Having a successful relationship with Thomas is extremely important to us. He assisted me recently with a sale for a client. He was a pleasure to work with, always on top of what needed to be done to complete the process in the most efficient manner. Thomas will always be on FBS's list of preferred agents! Over the years, I have sold and bought many properties with both good and poor agents. Thomas is, without a doubt, the best realtor I have ever worked with. Being located about 1000 miles away from San Diego and trying to sell a house there creates a potential for a real headache. Thomas was on top of everything from day one, had the house sold within a week, coordinated inspectors/contractors, oversaw necessary repairs, assisted our estate sale lady, and was in constant contact with the escrow company. Selling this house was not something that I was looking forward to but things could not have gone more smoothly. I would sincerely recommend him to anyone who is looking to either buy or sell. Thomas made it really easy for us to rent a vacation home. We had a difficult time finding one on our own because it was a busy time and had gone through several bait and switch senarios and other realtors weren't as helpful. I am a realtor myself so I know that TJ goes the extra mile and I highly recommend him! I highly recommend Thomas J. Nelson to anyone buying and/or selling a home. When I decided to put my condo on the market, I was not optimistic that it would sell as there were 4 other condos right next to me that were not moving. Thomas had several offers within 30 days and closed escrow within 90 days. He was so wonderful through the entire process. He is professional, knowledgable, and I now consider him a friend. I appreciate Thomas Nelsons utmost dedication to customer service, honest and straight forward opinions, quick response 24 / 7 when in need, Thomas highly ethical professionalism and above all the laughter and friendship I shared with Thomas. I would recommend him over anyone out there. If you want your house sold or in need of buying a house, your better off with Thomas Nelson, the best ethical professional Realtor you will find in California. I have had the pleasure of meeting Thomas through an SD Chamber Veterans Business Alliance Group that he leads. He is a true professional in the fact that he is always looking for ways to help others. Whether this means helping them to find the home that is right for them, looking for ways to connect quality individuals through networking, or building genuine long-lasting relationships in the SD community. Thomas is your guy if you are looking to establish great community contacts within San Diego.